Chipotle Mexican Grill Inc.’s quick-service burger restaurant Tasty Made closed permanently on Wednesday. Executives said the single-unit Lancaster, Ohio, restaurant, which opened in 2016, had delicious food, but the economics were not what they wanted them to be, so the decision was made to close the location. All employees will be given the opportunity to apply for positions at Chipotle, said Chris Arnold, a spokesman for the Denver-based company. Arnold did not comment on whether the company would attempt the concept at another location. Chipotle co-founder Steve Ells has long said that the build-your-meal model with wholesome ingredients that defined the burrito brand would work with other cuisines. The chain first attempted to prove that theory with Shophouse Southeast Asian Kitchen, which grew to 15 units before it was sold last year. Tasty Made, however, was launched at a time when Chipotle was struggling with a crippling foodborne illness outbreak at its core brand. 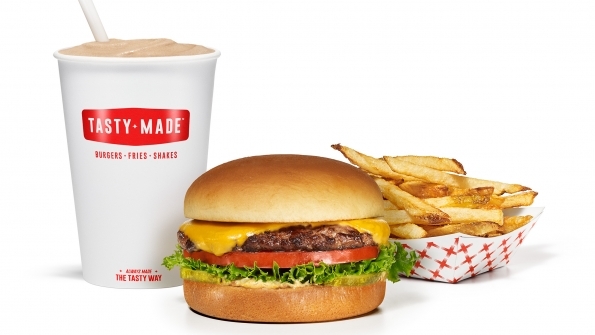 The restaurant had a simple menu of burgers, fries, shakes and sodas, in the style of In-N-Out Burger. Last year, Chipotle brought in chef and restaurateur Richard Blais to work on the menu. Blais is known for his San Diego restaurant Juniper & Ivy, as well as the chicken concept Crack Shack, which will soon have four units, and the full-service Flip Burger, with two locations. Arnold said Blais had been a great partner in Tasty Made and his talents “quickly elevated” the quality of the food. “The decision to close is in no way a reflection of Richard or his capabilities as a chef and restaurateur, and we would certainly consider working with him again if there was an opportunity that made sense,” he said. Earlier this year, Chipotle announced a new CEO: Brian Niccol, the former CEO of Taco Bell. Niccol is scheduled to step into his new role next week.